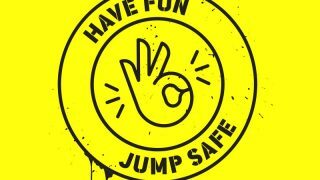 Please see the links below to both Jump INC and Jump INCflated risk acknowledgement forms. If you bounce with us frequently, don’t worry you only have to sign it once. Anyone under the age of 16 will need to have it signed by an authorised parent/guardian. Sorry for any inconvenience caused, we hope you can understand that we have to take these measures for your safety. To read our full T&Cs click here. You now need to be nine years old to use the performance area in our trampoline parks. Sign the digital risk acknowledgement form for our park by selecting the park you’re attending below. The form is complete once you have successfully clicked to accept the terms and signed the electronic signature agreement.